Bromance on the sets of Iss Pyaar ko Kya Naam Doon! Tellybuzz spoke to the cast of Iss Pyaar Ko Kya Naam Doon to unearth the mischief on the sets…. The bromance on the sets of Star Plus show Iss Pyaar Ko Kya Naam Doon? is legendary. 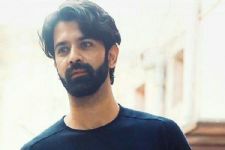 The quartet of Barun Sobti , Akshay Dogra , Abhaas Mehta and Karan Goddwani are known to have a laughter riot on the sets. Their scene of crime has now shifted from the sets to the virtual arena- Twitter! They engage in banter with fans and address each other with aplomb on the social networking site! We got in touch with Karan Goddwani aka NK and asked about their camaraderie on sets-"We understand each other very much and sometimes we just make an expression and the other understands what we are trying to say. This telepathy is phenomenal. We were once singing the song Amar Akhbar Anthony and instead we sang Akshay, Karan and Sobti, but we had to change the song as we had to fit Abhaas in it. We all eat together, even if one goes to the loo, the other will go and knock and ask him come fast and tell him that idiot we are waiting for you for lunch ". He further added that –"We have 1 bed in the room we keep sleeping when not doing the scenes. We love playing cricket on the sets, eating and sleeping. It's like a gang of guys on the sets. We are called the Raizadey-Haramzadey and I have no idea who came up with it. When also apoke to Akshay and he echoed the setiments –'We are brother(s) from another mother(s). Feels like we've known each other all our lives." 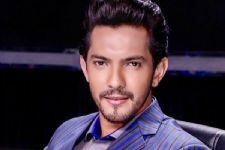 .We asked him to share the best prank that they have played on the sets and he replied-"We play a lot of pranks but the best has to be the one we played on Karan on his first day on the sets"
He went on to narrate the incident –"It was Karan's first day on the sets and we had to shoot for his opening scene promo. 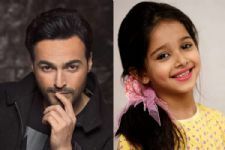 We got to know that a new guy is coming on the sets and we had our possessive territorial thing going on the sets. Gul. Arshad and rest of the the crew was on the sets and we were all abetting each other in this prank. I had to address Karan as 'NK Bhaiya' and I flatly refused to do so. 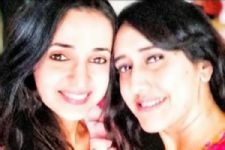 Sanaya Irani was shooting for the scene as well. I cut the shot and told Arshad that I would not call a new guy bhaiya and instead he should be addressing me as bhaiya. Karan turned pale and could not believe my audacity as the main leads of the show had no issues with him and I was the one creating a fuss and strangely everyone was listening to me. I told Gul that I would walk off the sets and Karan was wondering what is happening. " He said that Karan's expressions were priceless and he had no clue what hit him –" Sanaya cant pull a prank for nuts and burst out laughing. Then I introduced him to Abhaas Mehta and told Karan that Abhaas is gay. We had informed Abhaas and Abhaas came closer to Karan and he was so uncomfortable. It continued till lunch when we intentionally left a vacant seat next to Abhaas. Karan could not even gulp a single bite down his throat.It was hilarious." *Shruti*, Aahaana, Rima1992, 1515, qt123, AryaT, Poonam3, love_arnav, mannou, bitt, mawrygirl, rocks_cuttie, anjaanichokri, Blissful_90, Deenaa, Sweetangelina, nlee, rubakhan, SarunholicArhi, varshinicool, srvz9, katherine001, gt93, budz, ankitadwivedi, leydu, frenchy, veemasw, princeadeel2011, t0xiicxkiis3s, ilnese, Shasorali, pondivya, jadugarr, SOUMIYAify, joyaa, gpatel15, Shikha143, queen-of-india, Arshie04, reshmaingole, shaima_khan, Kamal97, kie91, sheniluv, Gojusbarun, sollenberger, madiha merchant, dipshikh, arhiarhi, revathy1993, MMVAR, arhiay, taichu, SaniZeesh, nayanth21, manhafatema, ShinyJiji, kewl_gemini16, jussim, Shivapriya, aastha.barun, SweetyDolly, NIAMALLIK, nokjhok, pure-pearl, swetadwivedi, inocent_honey, Prabhasatyajith, sweetankita, love_abhiya1, Alinaalii, SARUN1, Arhi96, Nasria, allfun, reluctantfan, forumgirl2011, cinky, barkha.mishra4, zahrarais, sajnty, riya001, sona12, Anjali01, rosalie_24, arshirabel, akishak, WhaThe1000x, Arshifans, sonia_khan18, pratikshanoel, IPK_KND, amna_jameel, barunx_95, sanana12, PRINCESS21, shreesatapathy1, khushiraiguptha, softeyed-girl, archi.lover, Teamipkknd, khushiarnav11, khushishaikh, Amarjitbansal1, shaharshi, KhushiHamidi, MariamHafeez, Kinder94, srps.1992, saarrthiispyaar, suhanamausam, soniyag, nitz00, najmah, ben-10, udv224, racheal, sabusain, priyadevarajan, softsona, helenM, angel19958466, virmanrokz, meg2swe, anshu286, cindrella321, kshiti123, nizakhanie, ..Hemlata.., armc_66, shilpashree, hashu_bhashu, sara-arhi, nehagadde, rth81, MSA_SUD, Afairy, phanichandu, HeeraAli, Niidhii, dnmiss, NismaNasir, simran2697, neethz21090, kavyakool, ASRtheMan, ArShi_NiShal, barunite, ayeshap14, hasi_26hems88, shreejareddy, siva_arshi, rainy_blue, specailgirl, shruthikotari, ipkknd159, vidhathri, Aquagrl3, ashwinks, taniarumika, risha8865, sianvibi, akshuta06, solitude, dr.Shilpa12, summie, noor2012, Suzich123, missbennet333, dipesha, kocher, ramsha3ali, rafianadeem, tv4me, IPKKNDfever, anjali-s, qindeel, anjali2395, guptapayal, I_luv_sanaya, anaiqb, ananya04, sanjana_kapoor, ladly123, arshi101, balwtna, amrakader, zuuhh13, arshian-maham, SachiG, divyaasr, Rockstar99, Earth_quake, pace_maker11, gokulkrish, swyytmaas, thachineenu45, loony-toony, faisel1980, apoorva12sharma, AnisaUddin99, jasminsandrila, 601109, ishika.k, ASR2020, arhifan1, Riyanka12, starling, ArshiL0ver, humairak09, like_ipk, askaman, shi77, Riyu-N181128, SYGO, deys86, IFKhushi, iluvdarcy, aayishaarohi, nga95, nikie, darkangelp, staaar, jyoti_light29, 4evalost, rockstar09, ani_zia, prayasbanetta10, livelyrose90, nicky97, sanz1, radika10, -ehsaas-, Khushixoxo, mala2412, Ams02, ruku25, anita-92, bigtimeARSHIfan, BARDWISHIKLA, bravia_qwert, Jordin, mithila14, hinhin, AppleApricot, tata_tata, sobti_luv, khushiarnavlove, sushree_arnie, skamani, imagination, Mayil, Paula_bear, Moonlight., LOVEBarun1, Jenny4u, BSLOVE, eshitamisra, dreams_stars, honeyangel, meratha, adaameena, barunsmania, barun901, kakon_k09, SexySobti, sagar.dj, CharuRuchi, PRINCEBARUN, Nawsheen130391, amrt, arnabar121, Tikka, priy123, neejmaBS, Tevo, abhiya1, Sroo, loveipkkndarshi, arnavsbest, pairocks, chatrits, deepthi17, aussiegal22, lisalafaiya, ShikhaBarun, Fatima82, rohit_anand15, Eve27, huma11, shay94, tashu16, khirat_ali, rs67, indhuarshi, koyel.c, arshifangirl, fathimaa98, sweety_virgo1, julijasmeen, -aliyah-, hyla, Jeslin96, madarfan, jalpa_23, Sajimok, smrika, hina_1234, Twilighter, arnavkhushi21, desiserialfan, revathydileep, Anshikaaa, desijatti, shivandhni, salonikaur63, mtazb, disheemeena, cagirl, Arshi143damnit, teddyrumi, iAkshata, PlovesArshi, sarunarshifan, kawkabon, keti00, AromaHussain, ayushiish, Atyay, ..anisha.., Arshi2gthr4evr, Jia1, Bubblii, aruforarshi, luvbbat, neet2012, Nurab, sorcha, friends2805, mak3mesmile, asmi3893, kkyajo, abi_augi, dmgfanA1, iluvrainaarti, ShahidKapur, varshamaharaj, IF_Rocks, AnnieA, Add123, ChocoDamon, punya25, mini16, Sumaiya27, rapariga, arhilover, kari_1, ahenseven, cinipaul101, tiena395, Arsha85, -Sapna-, DhwaniKS, adiya1714, roseli, crazy_mishee, riddzyee, huddy, Ace11, MaNan_hamesha, aveksha, gnaina, Rabiah, ANNA90ALEX, abii95, arnvkushi, Suganisha, Raima36, sureesha, Dorma, garima294, fatmah, craziefan, throwingshadows, esha108, sarun9, coffee_love, sruthi510776, poonam.gupta12, payal.12, Sowmi95, Krishna_Laya, ArhiliciousLOVE, shaki27_hiran, anu-radha, mysticmanthri, coolgal92, barunbirthday, sheethal, DasGH, dhivy, punjabi_gyal08, Ginaginny, pal89711, Thrish, ZaYa-Beintehaa, HotHoney, masz, arnavkushiarshi, esmeralda111, GB693, ShazArshi, pari.., Arhifan01, Keertiacharya, arshi_forever9, love...OMG, ReenuG, HopeleslyInLove, barunxoxo, mehak9, sss8080, Haniibee, Alinaaa., sarun23, hashey, MayaraaSobti, Lu_Armi, barbie984, sathisuzz, deeptha93, heidi, sunithavarma, Ipkkndworld, akfan4life, arnavrockzzz, Sunshine25, barun_roxx, Skye., zunara_ali, Koookie, -Reva-, Su_Somerholic, anumadduri, LiveLifewLove, ShyJi, callyd, sarun_rocks, sadaf2012, hari93, AnuLovesBarun, Krishma042, CrazySaRunian, swtash, raji_b, hitinikki, ThreeDs, Dee-, kruti95, guessimgreat, ARHIFAIRYTALE, chanloves-JB_1D, GoDsLoVe, mars80, PrasRas, Ipkknd_Fan_1, Josupra, urvi678, Deeps_S, Habfa, simple_dimple93, ...believe..., madhurima.devu, bhas1066, JenniferPurple, iriya, shamyj, fatprincess, -divya-, heahmad, mana2, bono_jostna, sib_12, ipkkndbarun_fan, Paridhi7250, inocence, DarkBecoming, Diyan, Lumos_18, tomndjerry, Arshi208, suba1980, bhagii10, zsadik, HarshIkaZaYa, pulu1995, thaaniya, MissPunjabi, 881876, ~sweet Ash~, Cutiee_Ashh, arhifandebi, Nrp77, aishwarya_rox, Shahnaz11, nam_adi, karthikazcool, crazyforarshi, T4YY4B4, -Suchi.P, BublyKhushi, iheartu, luckyarnav, ArShi-FoReVeR16, EvilMindedMe, prioty1000, shalinikanagu, SaraPhoenix, NaamkarannAdiZa, infiresmayn, blue_sapphire, laanaa, sumayya98, Brashti24, payel3004, ..Zahra.., arnav_addicted, Classy_Gal, curiouscat, Ruxana91, larimel22, rajalekshmi, Pappu., sami99, nehnehneji, hilly, VALERINE, ahuta, Arshi94, 3RidHiipkkndak3, tantrums.., ruby20, raosudha, blrgal, Meena1428, ArShiLover11, silverwing1527, KaSh-Rox, Hanalita, Shivani., BarunPashmeen, NikkisRuble, DaisyHoney, sanjulee, .Aisha., Sarikaa97, sanayakhushifan, great_love, renee27, DEE2803, khosla03, RTlicious, ayshran, Seema1987, ..Anannya.., sini1234, tanurocks, maana, maggie131984, peppygeek, pkaur92, ASRdeewani, shonu2, ArHi_4ever, josephadamjonas, Bonhi_ipkknd, RavissanteSanny, surenkal, Mallu_gal, zobsheh, Mitsu91, heavenspirit, mini_ksg_AR, alicekhan11, shehroon_riaz, thelondon12345, chemistry9, fascination, Psychedelic, Sonam-IPKKND, disco_diva, deepti1906, akshi_2, Rose.gyp, dva2vra, -CheekuBeetch-, x.Heena.x, roldc, Lil_Mz_Sunshine, smiley13, neag, Avi64, -Siaa-, rparash, desigirl2, feliz, Tereliyee, bleeding.love, priyalovebarun, GrilledCheese, SyedaFaiza, Tinkerfairy, aadhirai, KMH-NASHA, suhanana, Yash141, crazyaddiction, Sumuki, jaswargikoinahi, rosegold, Zaya.Beintehaa, cpervaiz, -floragrace-, Asmara., zoya-shah, swetha811, LoveYouChutki.., swat.g, innocentgreen, seven_stars, sarun21, simplytoxic, nirbasito, sweets1126, surbhi1009, Thamanna85, lylow, honey_princess, ak_maggi, shane1, xoxo_BaruNiall, mad-eye, msrenjini, sandy_nivren, -Archu-, mitrabhuyan, ..-Niru-.., daffodils06, Kiekeboe, shanthipriya, FBANU, .Phoenix., dimple288, khushboorath, teri_susan, sochanatha, ..Zenny.., -DramaBeans-, ..Annie.., ArshiRaiguptha, Varun.srk, -mesmerised-, Nikita99, ktms, MairaKhan1180, ..BhUvaNa, nik_ita, lovelystar, Mahaalwayscool, madhoo, kinny_ranvir, endeavour, infinity_, -Aliza-, aks555, imaastha, avantika_2012, 358674, varsh8, faffy, ArHiluv, Prasanna_dhanu, Shweta1691, lifeztuf, pia-loves-sarun, meghnas, Jidnyasa, Nia.D, Siesta, monkeydog18, bablio09, -Nashita-, KIRUCHINA150826, gom3090, -akki-, .logs, ashw99, sihu, .__..ZaYa..__., abd_20, Essence.., QueenAnnie18, appy_12, sneak-peek, huny.thebest, Juicee_Sushie, TheInkMistress, ixray, ACTywm, Tangled, -Mistletoe-, kajolkonna, .Mehak., spsharmila, Patato, virgo24, ppa20, Natalia, Ms.Cheeni, Shivika23, Bhagyavaan, harshmshah94, dreamymaya, niki_09, Simran234, dhakad_chori, PollyTrolly, cutegirl94, --sree--, AKoz, peachpie, dillidikudi, cherieLover, rani2007, N33MA, Pia9, Yuvika_15, krystel21, Koeli_Appy, kishubedi, sweet-fairy, arshiipkkndluv, pinkss, Aishu., RushilovesBarun, melihoney, -Shobhu21-, NeelVi, nehusashhh, crizal, Barunkidewani, sama50, supriya.arshi, Aliya_hzsn, mirka88, onetwothree, Preets19, inshuu, LumosMaxima, ipkknd06, vish.naren, Swap-Arhi, bubblycool, bfunofbb123, -Superstar-, NothingLasts, coolnisha_fun87, shass, StarM, KaSu4Life, sanaroxx, jenshadrocks, preetihere, chocolate15, shilparoxx, indy12, tanvia, archanan14, OLGNES, maaneet_forever, Anvi2009, Nightingale..., shidin0117, Cyberpsychooo, Krani, hoopoe, ganga16tr, K.S., natasha-remix, alcantaranjr, amisuv, .Sia., Bibliobibulus, Rozy77, Arshi1195, sun2011, SIZZZLER, teju695, ipkknd-fan, aarrsshhii, crazzyhrt, shilpa09, Na1na, gunayaar, kooltoad, nature-lover, Ree1306, Cute_Gal, angelic_leena_3, RNpoint1857, Black_kittykat, --softyy--, LuvBarunSanaya, Desai09, Arhi_2205, Rhysenn, AmazingAmy, KC294, shabs_89, ArhiDeewani, SunriseGreen, nuttycleo, -Rimsha-sizzles, leanne_1983, Kavya_sarun, LOVE_DMG, rockingcouple12, geetmaanluv, lareefab, sikhni_, reyaa., hodan1987, -Anks-, rumu, Raisa-, sayeed007, ipkkndfanforeva, fly_dog, 1gunjan7, highonshows, MJHTMonayaSajan, zara990, Shas3, faree, barun_lover, Ayie.DelRey, nine2, samin6, palak32, -Appy-, zsewaq, anjusr06, -SnowKid-, smithasrk, Heerbeauty, chahaat., russelskhushi, ash08, redroses123, Amanram, MsCeylon, Sweet_Ashum, pepples_joy, BornToShipArShi, binimoti, RadiantTreasure, navman, alicepuppy, ..Damsel.., AR-ARHI_naila, ash_devnarshi, LuvAbhiyaarjuhi, nav_bat, _deepshi_, Aquiline, go2sleep83, Breeeezy, Surkh_Soz_Ishq, brokenmirrors, --Sarunholic--, LooneyLuna, achu_arshi, _SilverLining_, -Afreen-, DeliciousDevil., pavi1, SStephy, sujal_kashish, jassie_17, 1yyy2krish3, mrym_rauf, 207shikha, Sabarnee_25, -GredForge-, -Saumya-, rashika, Katelyn, Pashbarun, monaya4eva, soapliker, nishi_I-fian, Sidda8, fan145, arshi_karish, S.H.I.E.L.D., SaRun., Sophia21, HakunaMatata., meniranjana00, ..Saraa.., jessicad, IFrozenl, pooja_k93, avni_19, .infinite., Bewakoof, JUHI.HI, shaaranya, deepa.e, NiShI678, kvarsha, jes_jade, anurao.66, danno, shivani003, NSohi13, HaRul-lover, deeswarna, koolgurl, meerabnawaal14, SaJanLuv14, Quietude, chucklebuddy, sejal719, PhoenixRadar, * ~ Roshni ~ *, sutapasarbabhom, Kranu, -Aicha-, Chaituv, Flame., CharmingAngel7, Anisha_91, nisha_hc_bs_dd, Deval__02, AfghanLeena, lalarukh, babyhumz, sherlockthor, gees, Naz_nisar, .howler., sim.07, shar19, KSG_luv, riafna, ..Apz.., Ipkknd-ki-fan1, Gurmeet4Drashti, stardust-, Hot.Pink.Heels, MentalExotica, ayshaomar, OmaRamdass, coolgal270, Vidya_luv_SaRun, bmtdluver, desigirl_18, paru_rox, Raadhiyaaa, peepli, sigrid, Alyaa_27, bs_deeps, -SanzAngel-, RB81, molten_lava, Lavender21, bepatient, SwaNia_2, Mani.raizada, showstruck, Jyo., IndefiniteLOVE, jakhushi, _Dazzling_, xMidnightStarx, -zozo-, PT_15, the_rain, gowri1712, debby_11, chandana.s, Arshig8, MrsKhan-Sobti, dushturain, newmoon2011, deepika45, shobrakapooor, pisces25, shagun_sarun, Keshriya, sayli_sarun, Barundeewani19, Raconteuse, divvk, -SI-, smitar, Barishkiduaa, dakshaavi, goguma, LivingInPajamas, Amti4u, srijaaa127, .Sandal., AR_EternalLove, -Garima-, vasiraju, TabbyJ., .vrshn., anodaksgfan, Minni147, sumana-13, StormChaser, musicfan5, --Fairy--, -happilyunknown, abracadabra, serialwatcher16, Viji79, -EndlessSmile-, cutelittleangel, jane_krittzz..., pressu, P.Srinivas, vijji12, Diahh, abhaylovepia, arsh_sp, IndigoBlues, cjs369, sana11, Stapleton, Akanksha-, AnupamaJY, Mariam_Sultan, -Dreamer-, rocking meenu, mushiroxx, mandy0310, .Prometheus., anumeha_rajat, sohara, -Cheeni-, tinsel, -SilverAngel-, sbk2, gia.khan, BinKuchKahe., simim, .Jiya., mazkachazka, anjani-pagli, Eggon_Snow, AngelTeen, HSFA, ajeebhotum, yipee, -Jahnvi-, DreamyButterfly, -SMay31-, -Aliya-, .Saraa., -Preetz-, adits7, MrDarcyfan, Vishakha_Sakhi, farah53, Huma-, ObodroKargosh, MoNayaHolicPrag, Girlabouttown, Aisha.K, BayAreaGuru, Preternatural, chotte097, Shru77, Jyo.Arshi.IPK, Bobbi., mr.superkool, Mahi_Bhardwaj, Mrs_Darcy_17, pinky89, -Ramya-, .Sad.But.True., GayuArnav, Veena.., sareeta, CrazyBarunian, Tish_Ani, morning_dews, Deedeepa1, Neloufer., pritirays, priya_86, HappyPlace, 18shabbo, UjjuSoulSisIndy, Anjilicious, pieryrose, -Crystal-Clear-, |Persephone|, BearNaNa, momma1128, Hrideyy.26, P_Shal, IWishICould, -Stutz-, silvia1999, RiyaDutta, SunoNa..., LyssaPie, XSilentPrayersX, ABBY_JERAN, deeps07, adventure_gurl, spoorthi, SamiyaIPKKND, DiyaS, -Gan-, Pragzie, JyotiBThakur, -DavneetKaur-, SimiSays, ...Rapunzel..., Johny.S.Raj, ..Sofia.., ragvir.fan, anu17, laddoo598, .Jazz., Targaryen, Mystic_nights_, Riima_Azraa, ..Suhana.., verisimilitude, sarra0, Dark-Hues, mahamluvsbs, OnepoundChic, Imzi, SankiPagal, Arshisarunrocks, Ishradivanluver, Sabmeratu., xsumi, -MOTHER-, Omoraboti, .Brooke., aartipartyy, pinky_blueskies, FAYKHAN29, Ilahi_mera_Jiya, Neha.K., -Maha-, ..DamonCrazy.., pc_pals, Divya1503, Loveo2o, applesauce., westindian, SanayaFlawless, Akorshi, indi52, SillyPepper, Anam..., Infofan, NotKidding, nandini27, *~sneha~*, nami2811, bahi., Subha_2601, yoga23priya, pluviophile., -Iruni-, -Mayu-, Tyro, angelic shaz, Aabha.M, --Nishita--, Enchanteur, Ethereal-Path, Abommi, -raboO-, siva2901, Barun_Addict, Flora3333, .SobtiLicious., vaatuhaara, Arshi.Sugi.IPK, KamleeChhori, somergasm., LifeOfTheParty, The.Lannister, xAaliya, _SenbonZakura_, zohakhan7, unknowndesires., bones88, Mrs.Hulk, riiddzzyy, -Jwalamukhi-, Sue101, amandadsouza95, illuminated., SabMohMaya, aashizin, spvd, -GayabCat-, .Jane.., Joseph_A, ..-Jia-.., IronyDied, Crazy.Beautiful, ILTHBEB, sunaina02, DraculaGirl, MystiqueDew, Trouble., StayStrong, .JustaDream, Mishh007, shonasandy, FakeLove, ragzz., -Araina-, P.Kamaljit.Sean, xxMATSxx, mishti_17, Khushix29, princessunara, alonebird, -Eris-, -Xpress-, riyya6, asmaanixx, minuu, Badtameez_Dil, tomnjerry2, Extinct, serendipity., .YixingsManal., SecretKhabri420, Nikki_Titli, JennyPenny, .FearlessSoul., WinterStar, Swetha-Sai, RajiSobtian, Shamsaaa, .Ohana. Rubina Dilaik approached for Saas Bina Sasural! Vinod Singh bears the brunt of Producers wrath! You guys rock Love you Barun Sobti.